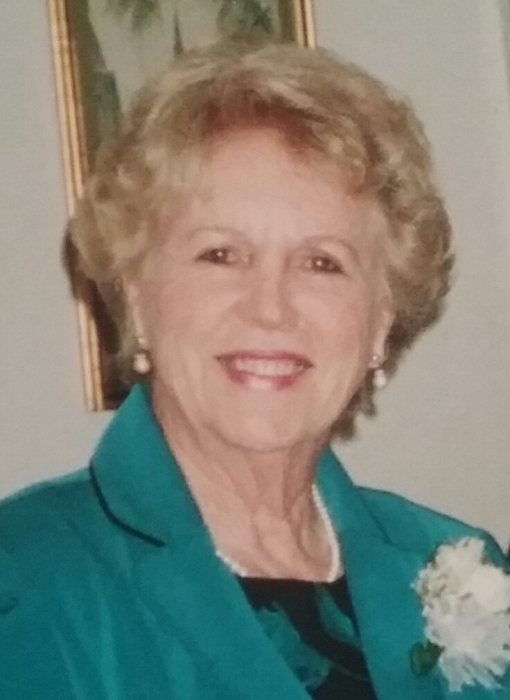 Helen Delong Breland Givens 85, of Walterboro, passed away Friday evening, October 12, 2018. Mrs. Givens was born July 28, 1933 in Walterboro, S.C., daughter of the late Charlie and Dahlia Kinard Delong. She was a widow of Edward Breland and Marshall Givens. She lived a very full life. There was nothing she could not do. Prior to retirement, she was the co-owner and operator of Breland Logging Company of Walterboro, S.C. She was a member of Bethel United Methodist Church in Ruffin, S.C. Due to her love for music, she sang in the choir and was an active member of her Sunday School class. Helen devoted her time in caring for her family and activities in church. Her passion was gardening, where she won the “Yard of the Month” more than once. Surviving family members include her daughters, Diane Grace Dinehart of Walterboro, S.C., Dahlia Patricia Thomas, of Atlanta, GA, Jennifer Edith Gabrielli,(David) of Summerville, S.C., Christine Eve Gooding of Walterboro, S.C. and Teresa Amanda “Tracy” Breland of Walterboro, S.C. She preceded two sisters in law, Frances Delong Rankin of Yemassee and Reba McFadden of Mt. Pleasant, S.C. Her ‘Greatest Joys in Life’ were her 5 daughters, 6 Grandchildren, 12 Great grandchildren. She loved spending time playing with them, and being a loving and great Nana. Funeral Services will be held 3:30pm Sunday afternoon, October 14, 2018, at Bethel United Methodist Church at 16147 Lowcountry Hwy, Ruffin, S.C. 29475. Interment immediately following the service in the churchyard. The family will receive family and friends prior to the funeral beginning at 2:00 pm in the church sanctuary. Flowers or Memorial contributions may be sent in her memory to: Bethel United Methodist Church, in care of Jan Ulmer, 437 Spencer Drive, Ruffin, S.C., 29475. The family appreciates the support and loving care provided by the staff, at Oakbrook Health and Rehab of Summerville and Intrepid Hospice of North Charleston, S.C. Special thanks to Eunice Koger and Mary Koger, home care assistances, who provided much love and support.